My bff is coming to snowy Michigan to see me tomorrow! I can’t wait for snow angels, catching up on gossip, dress shopping, and being crafty…. 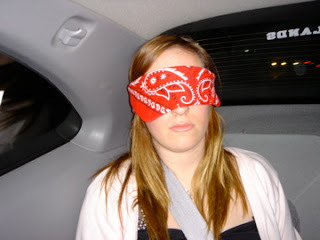 This is a pic from when I kidnapped her for her birthday….isn’t she cute? I might just have to blindfold her again when I pick her up from the airport….and tell her not to speak…and then drop her off in a remote location and make her find her way to my apartment….just kidding, I would never do that….oh the good ol’ days!